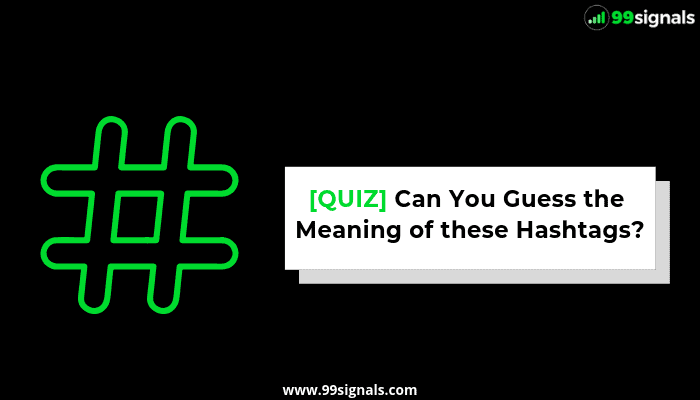 Home Quizzes & Calculators Can You Guess the Meaning of these #Hashtags? Ever since Chris Messina first suggested the idea of hashtags on Twitter in 2007, hashtags have been an ingrained part of our social media conversations. It’s 2019 now and hashtags continue to be widely used by individuals and businesses alike to connect and engage with their friends and followers. While they are used on almost all major social networks, they are more popular on Twitter and Instagram than on Facebook and LinkedIn where they are still used sparingly. Love them or hate them, hashtags have influenced our culture in more ways than we could have ever imagined. With that in mind, here’s a quiz that will test your knowledge of hashtags. Can you guess the meaning of all the hashtags that are trending in 2019? Take this quiz to find out!